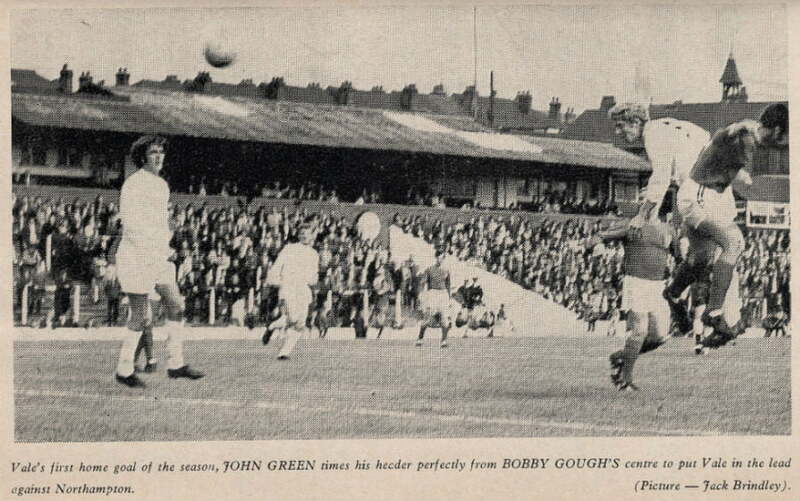 This photo shows John Green opening the scoring as Vale beat Northampton Town 4-1 at the start of the 1969-70 season. 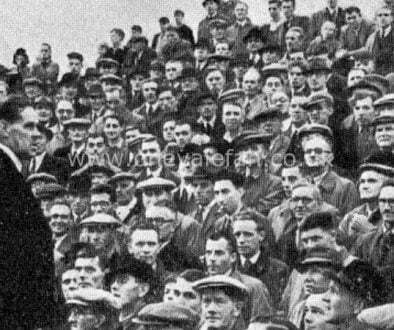 The other scorers were Wookey, Gough and Magee in front of a crowd of 4,809. 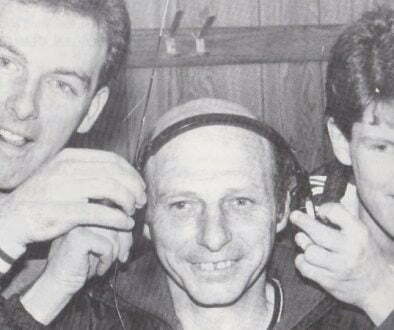 The Valiants would go on to win promotion under Gordon Lee that season. Elegant midfielder Green was signed in 1967 and would be named as the player of the year in 1970. 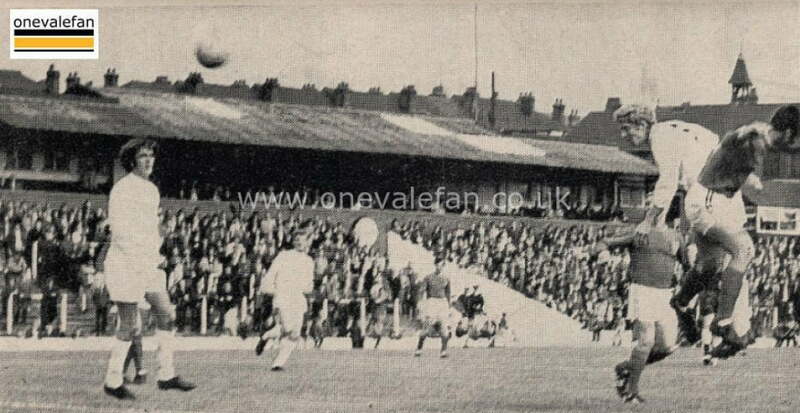 He made 102 appearances for Vale before leaving in 1971. He later moved into management.